Amazing Bathtub Refinishing Raleigh NC (919) 817-0734 specializes in bathtub refinishing and resurfacing, tile resurfacing, and counter-top refinishing. We have been serving Triangle area homeowners and realtors for over 5 years, including homeowners in Raleigh, Cary, Durham, Chapel Hill, Apex and Holly Springs, NC. 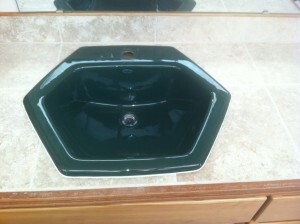 Amazing Bathtub Refinishing Raleigh North Carolina is an independent company, not a franchise. All work is carried out by my team, never sub-contracted to other companies or individuals. You will be speaking to us, the technician’s at all times, not a call-center. My team is properly trained, certified, background checked, insured and extremely professional. We NEVER cut corners. We only use the highest grade materials, professional equipment and refinishing methods. 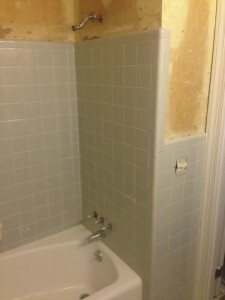 Due to a high cost of replacement, people seek alternative ways to restore existing tub and tile surfaces. Amazing Bathtub Refinishing Raleigh North Carolina offers the best solution in bathtub, tile, and counter-top surface restoration. Cary, Chapel Hill, Clayton, Dunn, Durham, Apex, Henderson, Louisburg, Norlina, Oxford, Pittsboro, Raleigh, Rocky Mount, Roxboro, Sanford, Selma, Smithfield, Tarboro, Wake Forest, Wilson, High Point, Charlotte, Lexington, Burlington, Mebane, Rendleman, Siler City, Denton, Salisbury,Candor, China Grove, Asheboro etc.